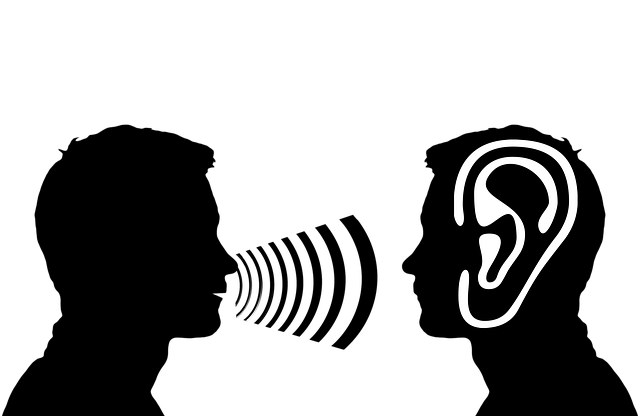 Total communication | I'm hard of hearing, so what? Total communication – I'm hard of hearing, so what? Have a quick look at Facebook to see what your friends are up to, or use WhatsApp to talk to relatives from afar. The social media offer great opportunities, especially for hearing-impaired people. In addition to her own experiences, the highly hearing-impaired blogger Renee Iseli-Smits sheds light on the advantages and dangers of this type of communication. We humans communicate with each other all day long. Without communication, whether through spoken language, body language, sign language or written communication, we could not live. In recent decades, communication via the Internet, e-mail and social media has increased to such an extent that it is impossible to imagine life without them. Most hearing impaired people also use social media such as Facebook and Twitter. And dear readers, I must confess: I am also on Facebook, Twitter, Instagram and Co. In the beginning I used Facebook as a way to contact distant friends and relatives. In the past years I have also used Facebook more and more to reach my blog readers. Nowadays, if you are not able to be personally present at a conversation, there is still Skype, WhatsApp or Facetime. Their video offers allow one-to-one or group conversations, so that you can also see each other. For the hearing impaired, this means above all the added value of reading from the mouth without having to make a phone call. The use of landlines and videophones for the hearing impaired is becoming increasingly rare and may disappear completely in about 10 to 20 years. For hearing impaired people this development of the social media seems to be a good thing: the traditional telephone becomes less important and we can still communicate faster and easier, just like good hearing people. Unfortunately, however, this development can also have its downsides, especially for hearing-impaired people. Because we increasingly communicate via the social media, the exchange in real, personal contacts with well hearing people becomes less necessary. Why should I, as a profoundly hearing-impaired person, bother meeting with my good hearing friends somewhere and having a hard time discussing over dinner when I can retreat home and just chat endlessly with my Facebook friends? The danger of isolation in the immediate social environment would be conceivable. For me, personal contacts are and remain indispensable. Facebook will never be able to replace a cosy evening among friends. And I was especially happy that I got to know a few Facebook friends personally over the years.